Mr. Forsyth began writing Wikipedia articles in 2006, focusing on the history of his home state of Oregon. He is a founder of WikiProject Oregon, a dynamic group of Wikipedians which coordinates collaborative projects and engages with local institutions. He is Editor in Chief of the Signpost, a community newspaper covering Wikipedia and the Wikimedia movement., and serves on the Advisory Board of the GLAM-Wiki U.S. Consortium, a group that performs similar functions nationwide. 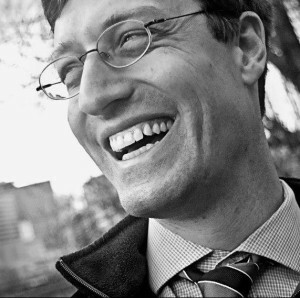 Mr. Forsyth was a key architect of the Wikimedia Foundation’s Wikipedia Public Policy Initiative, a project that helped university courses engage with Wikipedia’s peer production practices. The foundation’s Wikipedia Education Program and the Wiki Education Foundation both grew out of this work; both support instructors in using Wikipedia as a teaching tool. Pete Forsyth is a Senior Editor on the English language Wikipedia. Mr. Forsyth’s projects with Wiki Strategies have ranged from improving a single Wikipedia article to designing programs that engage large numbers of Wikipedia volunteers. He has also spoken about Wikipedia to audiences at Ivy League universities and community groups, from Poland to California.